This is a directory of some of the top-notch people we’ve trained to become certified embodied facilitators. It’s work-in-progress and not comprehensive (with more to come in 2019, including outside Europe). If you’re looking for an embodied facilitator in your area and one isn’t listed, then do contact us. We may be able to find you someone. I am a working mother with two children. I have been meditating for many years and have an extensive background in mind and movement disciplines, from yoga and tai chi to contemporary dance and tango. I have edited documentaries for the last 20 years and especially enjoy helping others to find more space and freedom of expression within their daily lives. I am also interested in the relationship of aesthetics and environment to Mindfulness and Embodiment, recently having run workshops with designers, architecture students and creative writers. I am fully accredited by the Mindfulness Training Institute and am a certified Embodied Facilitator. Arabella is a Masters student at Goldsmiths, where she studies Occupational Psychology. Having graduated from UCL with a degree in Arts and Sciences, she has a broad range of interests which often centre around people and the question of what does it mean to be connected – with ourselves, with others, with our actions, and the environment. She enjoys coaching, especially millennials who may be searching for meaning, purpose and passion, or navigating a transition in their lives. At the minute, she is focused on building communities and connection between people in London and can often be found deep in discussion or exploration of any of those themes. Hi, I’m Celynn. A registered health practitioner, professional speaker and work place wellbeing consultant. I have lived most of my life in South Africa with my family heritage coming from the Champagne region in France. This is an important part of my identity and my speaking / coaching style as I embrace balance and joie de vivre as opposed to an all-or-nothing or puritanical approach to lifestyle management. I now live and work in the United Kingdom and spend a significant amount of my time travelling for both work and pleasure. I love salsa dancing, contact improvisation and have a longstanding daily meditation practice. I work mostly with business leaders, entrepreneurs and their teams, sharing practical techniques and strategies on managing energy, health, performance and better resilience. I work with a broad range of clients in diverse business sectors. I am eager to bring more embodied practices into organisations to deepen participants’ learning and behavioural change. Due to a busy travel schedule, I work with select individuals doing one-on-one sessions, ideally as part of a longer term commitment rather than a once off engagement. I have a multi-disciplinary approach and will refer to a greater network when necessary. I worked as a private practicing dietician (focusing on diabetes, heart disease, digestive health, weight loss) before consulting to businesses on work place wellbeing. I have co-authored two books and have developed various science-backed frameworks such as Performance Chemistry, Wellculator and the FAB Quotient. I’ve spent many years in corporate leadership roles and maintain a part-time role as a Senior Director alongside my Coaching & Consultancy practice. I found traditional coaching lacked a dimension, in that it fails to acknowledge the role that the body plays in shaping the mind. An embodied approach has brought depth and efficiency to my workshops and coaching practice. Every body lives in a system, be it a workplace, a family, a relationship, society as a whole. I work with the body, the mind and the systems they live in, supporting clients with meaningful change that has a real impact on who they are and how they lead their lives. I have worked in the third sector for 20 years – delivering frontline mental health services, training staff and professionals and co-founding and leading a successful and dynamic suicide prevention charity. I am now freelancing as a trainer, consultant and embodied coach and facilitator. I have a passion for community engagement and the transformative potential of experiential and embodied learning. I am a Certified Embodied Facilitator and am developing my skills in bringing the body into my training and facilitation work, using an embodied approach to deepen participants’ learning. I also have a private practice as an embodied coach. Daniel now combines the communication skills he learned as a barrister with the authentic public speaking principles of the Speaking Circles method and the principles of Embodied Leadership as taught on EFC. Fiona is passionate about helping people take leadership of their own lives. As well as coaching one-on-one in her private practice, she counts world-leading tech and creative companies, arts and philanthropic organisations, academic institutions and brands among her corporate clients. She is a Fulbright scholar with a Ph.D. in Performance Studies from New York University where she worked on the power of improvised dance. Before coaching and facilitating, she held key strategic roles with Amazon and Penguin, launched a respected independent publishing house along with one of the most valuable international essay competitions in the world and was a curator, producer and speaker coach for TEDx. 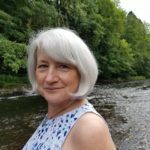 Fiona has 35+ year experience of working with people of all ages exploring awareness, acceptance and change, helping them to enjoy their lives more through somatic awareness and education. She is a trained Somatic Educator (Essential Somatics & Gentle Somatic Yoga Level 3), a Nia Black Belt since 2005, an Aerial Yoga Teacher (Radiant Star) and has trained in Embodied Yoga Principles (Mark Walsh). Her previous training and work as an actor, dancer and choreographer, both in professional theatre and in community arts, and arts and health projects, help her bring a creative, fun, yet grounded approach to everything that she does. Fiona’s sessions can combine coaching, somatic awareness and mindful movement, and she is available for 1 to 1 in person or Skype coaching, and small-group work-based sessions. 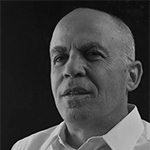 Glenn Bracey has 22 years learning and personal development experience, with corporate clients around the world. He facilitates embodied learning to improve awareness, communication, engagement and results. Helping individuals, teams and organisations integrate the learning and insights they’ve experienced back into their daily lives, workplace and relationships. He is co-founder of Future Vision Training Ltd and a consultant for the Bear Grylls Survival Academy and keeps an ongoing embodiment practice. I am a Finn based in London and have a background in healthcare and Educational Psychology. 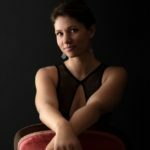 Ten years ago I found Nia Technique™, a holistic movement class where I felt that I, too, could dance in a way that felt good for my body. In 2008 I took the Nia teacher training. Since then I have transitioned towards embodied work through trainings in Nia, adapted dance, Embodied Facilitator Course, embodied methods for trauma and addiction and a MA in Dance Movement Psychotherapy. Karin has been teaching yoga and compassion-based mindfulness full-time since 2008. She is a certified Embodied Yoga Principles teacher and delivers British Wheel of Yoga accredited yoga teacher training. 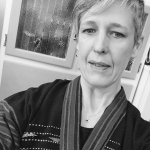 She has taught around the UK, in Belgium and has recently taught medical students, young nuns and teachers in Bhutan as a representative of the UK based charity Opening Your Heart To Bhutan. Prior to teaching yoga Karin worked in the arts, developing & delivering community arts projects promoting social inclusion and community cohesion. She has always worked from a compassionate motivation to make the world a more creative and joyful place for everyone, and making yoga accessible to more people. This informs her current thinking about yoga, mindfulness and embodiment teaching and practice. Jamie Abrams has been teaching internationally and living her yoga for 19 years. She has a constant appetite for learning and maintains an on-going education in yoga, biomechanics and embodiment practices. Jamie has many strings to her bow. She is certified in Thai Yoga Massage, Super Sleep Yoga, an Embodied Yoga Principles Senior Teacher, Embodied Facilitator Coach and Partner Yoga, to name a few. 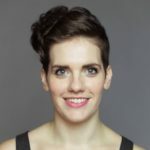 Known for her light-hearted and warm flair, Jamie leads classes and workshops along with private tuition and gives mentoring to other teachers through her advanced teacher trainings. I have over 10 years teaching experience, working with embodied, somatic and mindful practices. Areas that I specialise in are stress management, anxiety and burnout, women’s wellbeing and parenting, working with clients from all stages of life, from children to elders. My sessions are a mix of embodied somatic yoga, natural movement, relaxation, meditation, breath work and coaching. Liz is an award-nominated British actress and improviser, with a BA (hons) in Performance from Mountview Academy of Theatre Arts, and has toured worldwide with numerous shows. She uses her performance and embodiment background to coach people into being more at ease and engaging in the spotlight, and has been teaching improvisation for many years. Aside from the obvious positive effect of roaring laughter, Liz is a strong advocate for the life enhancing skills developed through improv, such as confidence, calmness under pressure, quick thinking, overcoming fear of public speaking and developing stellar interpersonal skills. 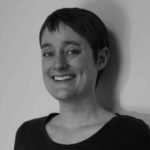 Liz is Artistic Director of The Maydays, one of the leading improvisation companies in the UK, with whom she runs courses, retreats and goes into businesses to train teams in innovation, flexibility and communication. Previous clients include IBM, GlaxoSmithKline, Morgan Stanley and Investec. Neil is a veteran business trainer and coach, having lived on 3 continents and worked in 43 countries…so far. He is the author of the “Day-to-Day Negotiations” ebook for all 46,000 staff at the European Union institutions and was one of only 5 nominees for the Association of Professional Coaches, Trainers & Consultants’ Trainer of the Year in 2016. Among his clients have been BMW, Nike, Coke, HSBC, Fujitsu, Havas, Siemens Corporation, Lloyds, RBS, SAP, Costa Coffee and the English Football Association. He also created the One Day Masters in Team Performance for Senior Managers at FTSE250 companies which he ran for 6 years. A 3rd degree blackbelt in aikido, he has also been studying Kashima Shinryu Japanese sword style for 10 years. He is a Voice Dialogue master facilitator, a graduate of the Embodied Facilitator Course and ran The Cuddle Workshop in London for 2 years. Integrating partner dancing with embodied coaching for people interested taking their learning beyond the dance floor and into their lives. As a Latin & Ballroom dance teacher working with individuals and couples I am increasingly curious about the relational dynamic and personal insight that emerges through dance as an embodied practice – this is what drew me to embark on EFC 2017. Having trained in dance all my life I graduated with Dance BA (Hons) at the University of Leeds in 2007. I diverted for about 6 years into mentoring and supporting young people and training helpline volunteers in the education and charity sector. Coming back to dance in 2012 I was not satisfied that ballroom dancing was fully accessible to the everyday person so started my own company – Rachel Sparks Dance. I am now bringing embodiment to ballroom dancing and visa versa with LGBTQ+ group classes and 1-2-1 private lessons and coaching sessions. Sally offers practical, sustainable ways for leaders and teams to perform at their best by reducing the barriers (internal and external) that are getting in their way. She helps leaders embody the changes they want to make so that their leadership is authentic. Clients report that they feel more energised and can navigate the ups and downs of their work with more resilience. Sally’s academic background includes 30 years of experiential training in psychological counselling, change management and human systems. She is a member of the British Psychological Society and the Systems Centered Training Research Institute. She is working with a broad range of clients in diverse business sectors across Europe and in the U.S. She is part of the 2016 EFC course and is keen to bring embodied practices into organisations. My passion is working with people on taking tangible steps, be that performance, or uncovering their desires or inhibitors, or building toward their dreams and goals. I focus on tools using embodiment and deep listening and awareness. My core values are: openness, trust, integrity and ethical consent. The main qualification that I use in any work I do is that of an Embodied Facilitator. I also draw on several other fields and disciplines as appropriate. If I can’t directly assist I will tell you and refer. This multi-faceted approach delivers better results in a shorter time frame. When you learn to deeply listen to yourself, and your body, that trusting awareness of your own wisdom, or the wisdom in a team, brings about the ability to make better choices, faster. I only ever focus on supporting a very small number clients – individuals or teams – on their journey of leadership, personal development, and health and wellbeing. One to one sessions can be tailored for groups, community partnerships and corporate engagements. I also have an extensive network of contacts around the globe, developed over 20 years of working in my various fields, who can support my programs anywhere. At the age of 14 Stuart went on a French exchange stay with a family near Orléans, equipped with just the present tense and a willingness to listen and learn. Three weeks of intense immersion sharpened his listening skills and intuition, broadened his palate and established a life-long friendship. Since then he has learned several other languages and his career path has taken him through journalism, translation, market research, advertising, commissioned writing, facilitation and coaching. His interest in personal development and change work was sparked by a series of international workshops based on the work of Carl Rogers, a major figure in Humanistic Psychology. He has since been involved in Bioenergetic Analysis (a form of body psychotherapy), Transactional Analysis, Neuro Linguistic Programming, Hypnotherapy and Embodiment. Hi, I’m Terri McNerney, and I believe that you can lead technical change successfully when you know how to bring your people with you. When you align your leaders and teams to a common purpose and appreciate the different strengths that each person brings, then everyone understands how they can contribute and is eager to play their part. Over the last 25 years I’ve helped business leaders to do this across a variety of sectors, including oil and gas, media, pharmaceutical, energy, telecommunications, engineering, hospitality, finance and IT. Through my specialist consultancy, Inspire the Best, I work with leaders to design change processes that deliver results, with each design tailored to meet your specific needs. I also offer workshops in Leading Successful Change and a 6 month and a 12 month programme to support senior leaders working through change. My years of practical experience are supported by an MSc in Organisational Change from Ashridge Business School, where I contributed to the Ashridge analysis of leading-edge change and consulting, published in ‘Organisational Consulting @ the edges of possibility’. Prior to becoming an independent consultant, I worked on leading change in some of the world’s most complex and technologically sophisticated multinationals, such as BP/Amoco, ING and ConocoPhillips. Vidyadasa is based in Brighton, UK. He teaches Yoga with an emphasis on Embodiment and Mindfulness, exploring how Yoga can affect the whole of your life. Teaching since 2006, practicing since 1991, he teaches Retreats, workshops, courses and classes. He is also a web designer working with Individuals and Businesses to improve online presence. My job is to help talented people to achieve goals. Senior Project Manager, System Analyst in programming & Quality Assurance. Bibiana is a Physical Therapist graduate of the University of Valencia, certified Advanced in the Rolfing ©Method of Structural Integration and a teacher of Rolf Movement Integration (USA). She has been educated in different psycho-somatic bodywork therapies throughout the world and is currently investigating and creating a program she calls Body Intelligence (Inteligencia Corporal) as a way to discover one’s potential through one’s body. She has remained at the leading edge of BodyMind treatments and education in southern Europe as well as enjoying a rich family life. Her love and enthusiasm for healing work and for people is immediately evident in her whole being, in her state of the art Physiotherapy clinic and in the vast number of programs she has created to assist people to realize their potential in body, mind, heart and spirit. Bibiana has developed one of the most comprehensive residential treatment programs available in the world today for Rheumatoid Arthritis, working with more than 2000 RA patients – adults as well as children. She is co-creator of the innovative Terapia Integral Acuatic – an exciting aquatic therapy, as well as Myofascial Release Trainings, both of which she teaches internationally. Bibiana works with a wide variety of patients and different conditions, from sports people to children and the elderly. A pioneer in connecting and building bridges of contact among distinct therapeutic disciplines, Bibiana searches for an inter-disciplinary dialogue through health which can be accessible to everyone. She created Bodywisdom Spain to fulfill this vision. For more than a decade Bibiana has collaborated with Spanish and Swedish businesses to offer a range of powerful rehabilitative seminars in the area of Stress Management, Burnout, and Personal Empowerment. She directs Kinesis Center for Physical Therapy and Harmony through Movement. Certified body worker, yoga and acroyoga teacher, workshop and social change facilitator (Latvia). For more on Ilze, see www.ecobodywork.com. Manfred started his career in work and organisational psychology with special focus on aviation psychology and human factors. He has a Diploma and Ph.D. from the universities in Würzburg and Hamburg in Germany. For more than 30 years he developed his expertise in the areas of selection, training, development, teamwork and stress management of pilots and air traffic controllers. Since 1993 he has been employed at EUROCONTROL, the European Organisation for the Safety of Air Navigation in Brussels, Belgium as both people and program manager. His current activities include the management of leadership development initiatives, internal coaching and mentoring as well as facilitation and teaching. Over recent years he has explored and developed his interests in the human’s existence in the modern-world, starting with the corporate work place. With increasing certainty, he has identified his passion in various body-mind and movement disciplines such as improvisational theatre, dancing, singing, yoga, massage and meditation. 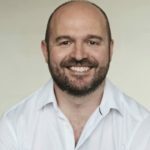 One of his main ambitions is to integrate embodied learning into the corporate world in order to raise awareness (of self, and the other), change of attitudes and behaviour with a view to ultimately enhancing the performance and wellbeing of people both in their professional and private life. An executive coach and collective intelligence facilitator, Maud supports the growth of whole-person leadership and relational skills in organisations to foster management performance, effective mobilization and health & well-being at the workplace. She helps leaders stretch out to their next level of somatic, cognitive and social-emotional development to boost their potential. Certified Embodied Facilitator, certified Leadership Embodiment Coach & Instructor, Being in Movement Somatic Education practitioner, Focusing, NVC and mindfulness practitioner. Integration Training Associate. 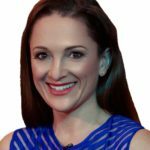 Monica is a sounded Faculty and Coach, with over 10 years of experience in the Leadership and Executive Development field. Her experience ranges from designing and consulting on management development tracks and organizational change to mentoring and coaching middle and senior managers. Monica partners with her clients to support them growing in their leadership roles or managing life changes and transitions, increasing self-awareness, stepping into a new leadership role, adapting to a new culture or simply re-discovering what their real drivers are. It’s scary, it’s exciting, it’s challenging, it’s about creating what they truly want – not what they’ll settle for. Monica is a Certified Professional Co-Active Coach (CTI, London and CTI, California), accredited by the International Coach Federation (ICF). At the Center for Creative Leadership (CCL is ranked by the Financial Times among the top 5 worldwide executive education providers), Monica facilitates coaching courses accredited by the International Coaching Federation (ICF). In 2014, she co-authored a chapter of the CCL “Coaching in Organizations Handbook” published by Jossey-Bass. Monica grew up in Venice, educated in Italy, Spain and UK, she is currently based in Brussels, Belgium. She is fluent in English, Spanish, and Italian and has a working knowledge of French. She holds a Master’s Degree in “Human Resources Management and Organization” from ESIC (Business & Marketing School, Madrid) and an MSc in Philosophy from the University of Venice. She is also certified to use a number of psychometric instruments and assessment tool. Pierre has over 20 years of experience as an Executive Coach, Leadership Consultant and Facilitator of transformational processes for teams and international organizations. His passion is to help people work with one another in more meaningful, efficient and fulfilling ways. Pierre has been one of the first person to develop somatic coaching and facilitation in France and Europe. He is the founder of Presence & Leadership, a training institute dedicated to somatic intelligence in the workplace, and Pierre has been training coaches and consultants for the past 8 years. As a personal coach, Pierre adapts his style to the personality and the goal of each individual; He is both challenging and supportive. When needed, his role as a coach can range from personal trainer to thinking partner. When needed his coaching approach is not only cognitive but also uses the latest somatic techniques to help his clients develop a truly embodied leadership in stressful situations. Pierre helps leaders transform their relationships, initiate and deepen change in their environment. His forte lies in his unique ability to create collective spaces where shared meaning, mutual respect and self-discovery can grow and from which new representations and actions can emerge. Pierre helps teams understand the systemic nature of their business, co-create vision, lead by empowering, and develop their awareness, emotional intelligence, trust and personal mastery. Clients express appreciation for Pierre’s, presence, creativity and integrity, his pluri-disciplinary skills as well as his wide range of professional and human experience. Personal Coach of Top executives (from project leaders to board level executives) facing new challenges. Coached the board of directors and designed change process in order to co-evolve mindset, behaviours and structures thus helping a local leader in its market grow its operations from 4 to 16 countries over 5 years. Designed and facilitated large work meetings (60 to 4000 attendees).